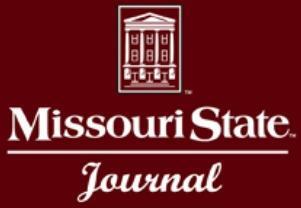 The Missouri State Journal is a weekly program keeping you in touch with Missouri State University. The Department of Defense and Strategic Studies at Missouri State University is relocating to the Washington D.C. area. Steven Berkwitz is an Associate Professor of Religious Studies at Missouri State University. Barb Jones is the Director of the Ozarks Studies Institute at Missouri State University. Michael Nietzel is the President of Missouri State University. Incubating new ideas is the second of his five goals for the university.